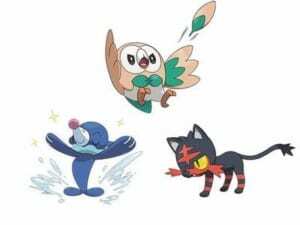 There is still an on-going debate on which of the three- Popplio, Rowlet, and Litten is the best Gen 7 starter Pokémon. Instead of arguing who’s the best, we would rather share our final take on each of the three Pokémon. Choosing your starter is essential when it comes type matchups and abilities especially in the story mode of the Pokemon Ultra Sun and Moon game. 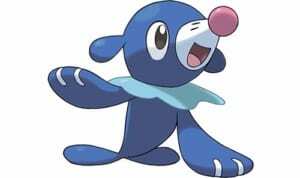 Popplio has higher Special Attack and Special Defense stats compared to the other Alolan starters. Has early access debuff moves such as Growl and Charm. Water-Type Pokemon generally has good defensive coverage. Water has only two weaknesses – Electric and Grass. Popplio’s final evolution, Primarina, becomes Fairy / Water. This makes it a good Pokemon to use against Dragon types. Its Water typing also neutralizes the Fairy-type’s weakness to Steel-type Pokemon and moves. Rowlet has somewhat balanced stats compared to the other Alolan Starters, making it a versatile starting Pokemon. Rowlet’s dual typing of Grass and Flying gives it good coverage against Water-type Pokemon, as well as the early island trials. During the Akala Island Trial, Rowlet is effective against the Totem Pokemon. Once it evolves to Decidueye, its typing becomes Grass / Ghost. The Ghost-type is particularly effective against Psychic-type Pokemon. Decidueye also gains the Ghost-type move, Spirit Shackle. This is useful for catching wild Pokemon during battles since this move prevents the opponent from switching or running away. 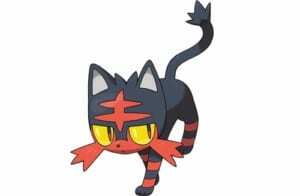 Litten has the highest base stats for Attack and Speed among the other Alolan Starters. When it evolves to Incineroar, its typing becomes Dark / Fire. This grants it access to powerful Dark-type attacks, including its signature move, Darkest Lariat. Darkest Lariat maximizes Incineroar’s raw Physical Damage and Speed stat since this move damages an enemy while ignoring any stat boosts it gets during matches. Litten’s evolutionary line is particularly effective during Mallow’s Trial and especially against the Totem Pokemon Lurantis. Hi Pikachu, if you have a Pokebank subscription you can obtain the other starters with their hidden abilities!